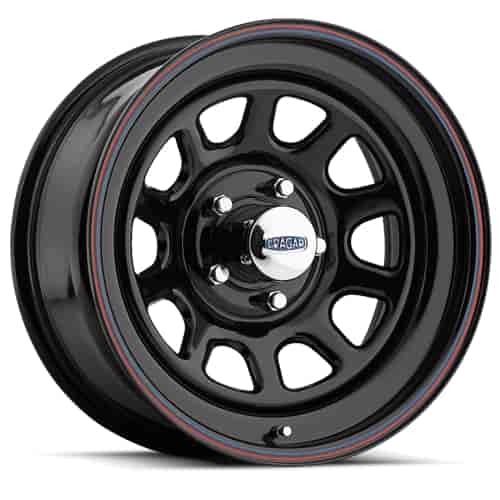 Cragar 342 Series Steel Wheel Size: 15" x 8"
Cragar 342 Series Black "D" Window Wheels are steel painted gloss black with classic red and blue pinstriping around the wheel's lip. Jegs carries many sizes and bolt patterns for these Cragar rims. Wheel and Tire packages are available with all our wheels so call your Jegs Tech today to inquire about adding tires.